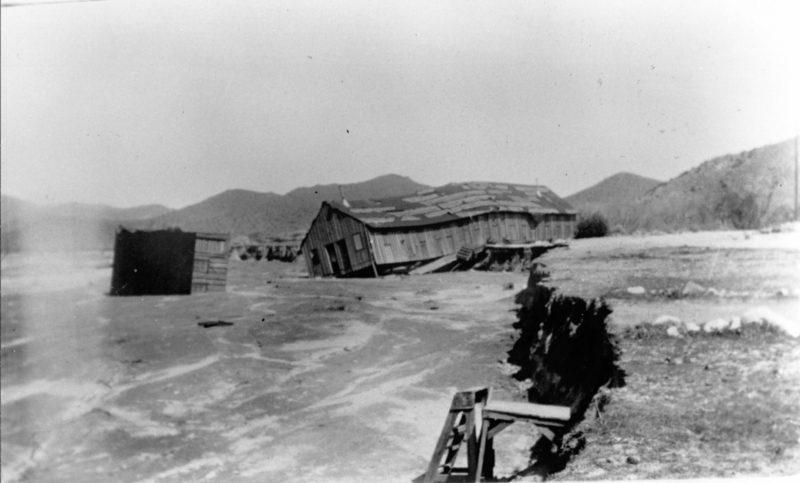 Structures in the Acton area are lost as the banks of the Santa Clara River crumble, probably in the flood of March 2, 1938. Near Crown Valley Road and Country Way?? AP3101: 9600 dpi jpeg from copy print.